Translation:Today is the 5th of December, 2017. Also, day is usually said as 日 - 十二月五日. But when you counting days, you can only use 日 but not 號. 五日 / 五天 is five days while 五號 is number five or 5th day in a month. In simplified Chinese, 零 is also used more often. How is 〇 pronounced? I only heard a gap between 二 an 一七? Is it not pronounced at all? Shouldn't it be the same as 零? You are correct. It is a mistake in the recording. 〇 is pronounced the same as 零 – they are both pronounced líng. As of today (2017/11/25 where I am located), the recording says, èr __ yī qī nián, but it should be èr líng yī qī nián. Actually, 0 is not pronounced as ling. It means the same thing, but is not the same character. 0 is only used as a filler for writing only; when speaking, you would say ling and actually mean the character, NOT 0. Sorry I don't normly complain I am just trying to learn, however, I belive hat by saying " Today is 5th December 2017" should be correct. It is asking me to remove the "th" on 5th so it is "5". Mine marked me wrong for not putting 'of' between 5th and December. Perhaps thats the problem? They should have fixed the alternative ways to write the date by now. It accepted "today is December 5th, 2017" (no "it"). They just may not have gotten every possible variation yet. “Today is the 5th December 2017” is correct in British English. ‘of’ is rarely used when writing dates nowadays. It’s still used when spoken so the system should accommodate both examples. I kind of suspected this would fail, but couldn't be bothered with what kind of format the course would expect, ISO 8601 FTW! What does it mean O??? Should not be ling??? I don't know about in the rest of China, but my teacher from Taiwan said that a lot of people use O (which is ling) because it is quicker to write than the traditional ling character. The audio SHOULD say Líng for the 〇 character as that is a representation of that, and that is how it is pronounced. NONE of the recordings are pronouncing this, which is confusing when listening, instead there is silence where that character should be pronounced. Today is December the 5th 2017. This was my answer, and it was wrong. "Today is December the 5th 2017" should also be acceptable. "It is the 5th of December, 2017 today". The right translation is: today it is the 5th of December 2017. In English every sentence needs the article. In this case the article is: 'it'. I wrote today is Dec. 5, 2017. I think it should have counted as correct. The 0 wasn't even pronounced and it marked me wrong for not putting it in! And 'today is Dec. 5, 2017 ' is wrong? what is wrong with you guys? 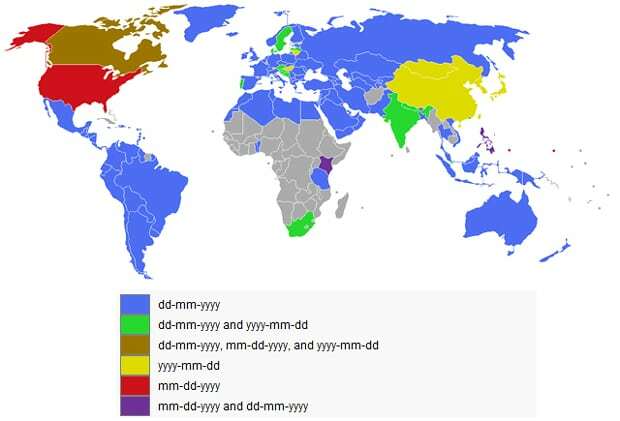 "December 5th" is only usual in American English, other English-speaking countries tend to use a day-month-year format and say "5th of December". As long as "December 5th" is accepted as a possible answer there is no problem. Doesn't the USA even say 4th of July? That seems, to me, the only time they actually order the date like that. I'm pretty sure they usually use it the other way around like "My birthday is May 11th" rather than the British version being "My birthday is (the) 11th of May"